How often have you, when faced with sadness or challenges, turned to Leviticus for inspiration and encouragement? When reading the Bible through in a year, did you get more excited about Leviticus than any other book? We would rather read the dramatic chronicles of Israel’s journey to nationhood or the incomparable stories of God’s grace in the life of Jesus. But real life is challenging, actually being God’s people is not always easy or fun, and the call of God is “You shall be holy, for I the Lord your God am holy” (v. 2). In the Hebrew Bible, Leviticus is called Wayyiqra, translated “and he called” after the book’s first word. Our title “Leviticus” derives from the priestly tribe of Levi. The book is heavy with instructions about religious festivals, sacrifices and ritual purity. All of this constitutes a manual on how Israel’s faith should be established and practiced for each generation. But this book also inspires with stories about Moses’ leadership and Israel’s development as God’s people. The first eighteen chapters deal with ritual and ceremonial practices, but chapter 19 begins a focus on how all of God’s people are to live in this world. Be “holy” like God? Read that directive again because it does not even hint that we can attain the status of God. But, in our values, actions and relationships we can learn to live with integrity, value others, love, practice generosity and remember we are only God’s people by his grace. These are lessons we continue to learn for a lifetime, often in spite of ourselves. How would you like to be God’s spokesperson to deliver the message (Leviticus) to a people who are still adolescents in their spiritual development? “Holiness” is a religious word that is too often translated “better than someone else.” But it means to live your life in contrast to the selfishness and empty values of the world. To be holy is not to be separated from the “real” world, but to live out the values of God, who cares for us in spite of our moral and spiritual ignorance. All this is summed up: “You shall love your neighbor as yourself … I am the Lord” (v. 18). In other words … no excuses! Compare those words to Jesus summation of God’s law in Matthew 22:35-40. We may describe something as having “timeless beauty” or “a truth that will never lose its meaning.” God’s instructions in Leviticus are not confined to Jewish religious rules or Christian ideals. These holiness ideals are values that separate humanity from animal survival instincts and blind fate. God is calling his people to choose to be like him every day we live on this earth. Leviticus 17-26 has been described as a “holiness code.” But this way of life must be shaped by our understanding that God loves us individually, that he knows we are imperfect, yet he has given each of us the freedom and potential to act out of love, compassion and the understanding that we can choose to be his people. 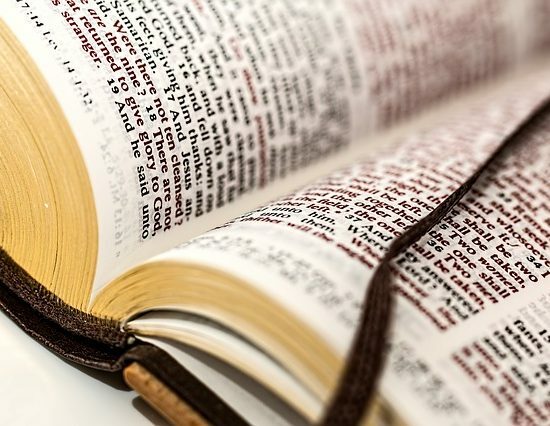 What I am seeing in our newscasts and publications in 2019 and hearing in the words of politicians and prominent people has no connection to the timeless words of Leviticus, the grace of God or the example of Jesus. Leviticus can remind us, as it did ancient Israel, that we must seek to reflect God’s holiness or we are without hope. Every day we are confronted by hatred, selfishness, violence and tragedy. We cannot heal our own brokenness. Only the grace of God can make life different. Israel had the same hope and options, but the record shows they failed to be faithful. Now we stand at the threshold of hope. The Lord says to his people, “You shall be holy, for I the Lord your God am holy.” (v. 2). What will our answer be?